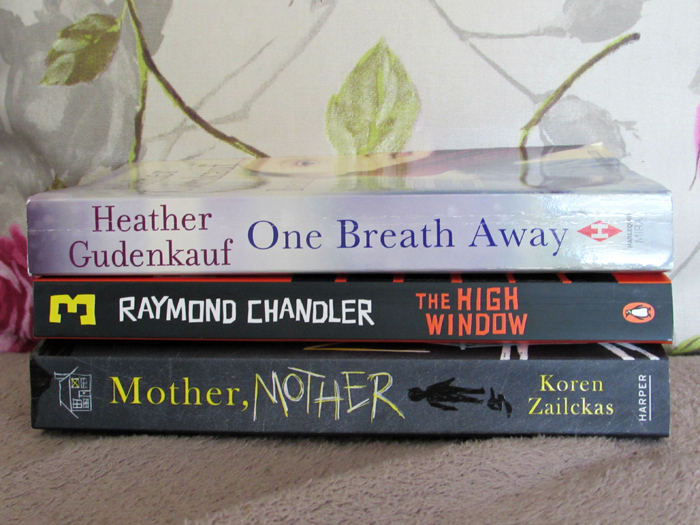 July was a somewhat slow reading month for me, with a total of three books read. In all honesty, I tend to only read one or two more books than that in a good month but my last read took me a while to get through. I hadn't read any of Heather Gudenkauf's work until this month, but am glad that I still have two of her books unread on my shelf. I will have a full review of One Breath Away coming up next week. Philip Marlowe's on a case: his client, a dried-up husk of a woman, wants him to recover a rare gold coin called a Brasher Doubloon, missing from her late husband's collection. That's the simple part. It becomes more complicated when Marlowe finds that everyone who handles the coin suffers a run of very bad luck: they always end up dead. That's also unlucky for a private investigator, because leaving a trail of corpses around LA gets cops' noses out of joint. The Philip Marlowe mysteries are some of my favourite crime novels and the third book in the series does not disappoint. Whilst the books do lead on from one another they can also be read as standalones. If you like crime fiction, a good mystery that keeps you on your toes and an assortment of characters then I'd recommend The High Window... Or any of the first three Philip Marlowe mysteries - I can't attest for the rest as I have yet to read them. Let's just say that things are not at all what they seem in the Hurst household. I'll have a review of Mother, Mother up in the coming weeks.